If you're interested in agriculture at all, you likely have heard of "hydroponics". 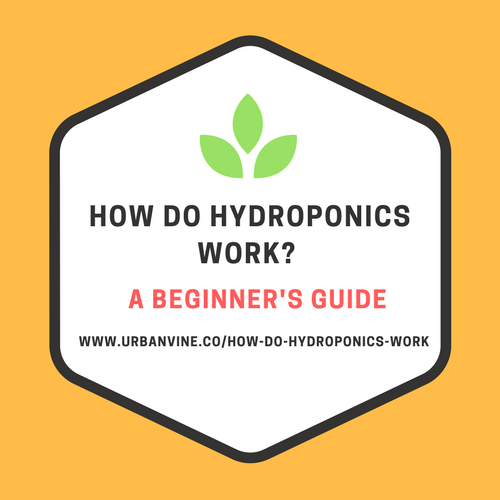 "What is hydroponic growing, and how does it work?" "Can I do it on a small scale myself?" All of these answers and more are discussed in this Beginner's Guide To How Hydroponics Works. At the end of this article, you should have enough knowledge to start planning your own, personal hydroponic mini-farm. Many people think that hydroponic farming is sticking seeds in water and letting them grow. But these people have it all wrong. "The method of growing plants without soil, using mineral nutrient solutions in a water solvent." Hydroponics does not just mean plants growing in a container of water. The water continually circulates, instead of forming a stagnant pool. Also, only the roots are exposed. This is often accomplished by using a tank and a pump (image below). This likely isn't exactly what you originally had in mind when you heard about hydroponics. Hydroponic growing systems can be complicated to design and operate. So if you are trying to truly understand hydroponics, where do you start? To truly understand hydroponics, let's start at the very beginning. What is the history of hydroponic farming? The precursors of hydroponic farms date back to prehistoric ages. Before the common era. Like, 600 BCE. Now, what's the back story on this? King Nebuchadnezzar built the "hanging gardens" of Babylon for queen, Amyitis. According to legend, she grew up in a mountainous area and so the King wanted to expose Amyitis to the beauty of agriculture. How did this system actually work? Technically the water was carried in buckets by slaves instead of with a pump. The system did use irrigated soil so was not technically hydroponic. Agricultural historians conclude it is the earliest known example of a precursor to true hydroponic techniques. "What are the pro's and con's of hydroponic farming?" "What are current examples of large scale hydroponic farms?" "How does hydroponic farming actually work (step-by-step)?" Many experts have actually highlighted the disadvantages of hydroponics. - High Upfront Cost: Hydroponics are expensive to set up compared to conventional farming style. - Restricted Growing Options: Some types of produce are not ideal for hydroponics, particularly heavy plants with tall stalks. For example: you won't be able to grow large hedges or trees hydroponically! - Nutrient Solution "Links" All Plants: In a soil-based system, soil can act as a temporary buffer between plants. If one plant is diseased, the others have the soil to separate plants. This isn't the case with hydroponics. If the nutrient content in a hydroponic solution is not correct or a disease enters the solution, the entire crop could be destroyed. - Less Pests: Growing crops off the ground results in a cleaner crop with less pests. - Space: Less space is required for growing. - Water: Less water is required. We've covered the pros and cons. Clearwater Organic Farms in Rochester, New York, USA is a brand new, still under-construction, state of the art 15-acre hydroponic farm. 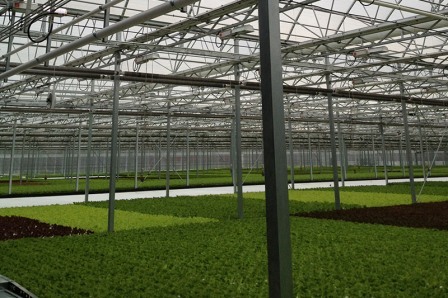 "Clearwater Organic Farms has created a controlled environment organic hydroponic greenhouse system that grows baby leaf vegetables,"
The farm will employ over 100 people upon completion in 2017/2018. Over 92 million consumers will be within a 4 hour truck drive of Clearwater. "We plan to grow baby leaf vegetables here in Rochester. Our facility phase one will be about 15 acres, under glass, and we hope to double that size within the next three to five years." Still interested to learn more about Clearwater? Check out the YouTube overview from the designers of their facility below. Ater all this info, you're probably at least a little interested (or dying to know) exactly how a hydroponic farm functions. "What are the actual components of a hydroponic farm?" Each of these techniques have a different layout. There will almost always be a reservoir of nutrient solution, a pump, a structure to hold plants, "plugs" that hold the plants in place, and drains. The most common component for building hydroponic infrastructure is plastic. (2) Lighting if indoors, is often accomplished with LED lighting. Hydroponic farming can also occur outdoors in some climates. (3) Hyrdoponic farming never uses soil. If a growing medium is used, it will be soil-less. (4) As previously noted, hydroponics are incredibly efficient with water. This is perhaps their most sustainable feature. Additionally, hydroponic systems are efficient with nutrients, because nutrient solution can be recycled. You now know the basic background information relating to hydroponic farming. Hydroponic farming is here to stay! Getting to know the background of hydroponic farming, is just the start of your urban farming journey. 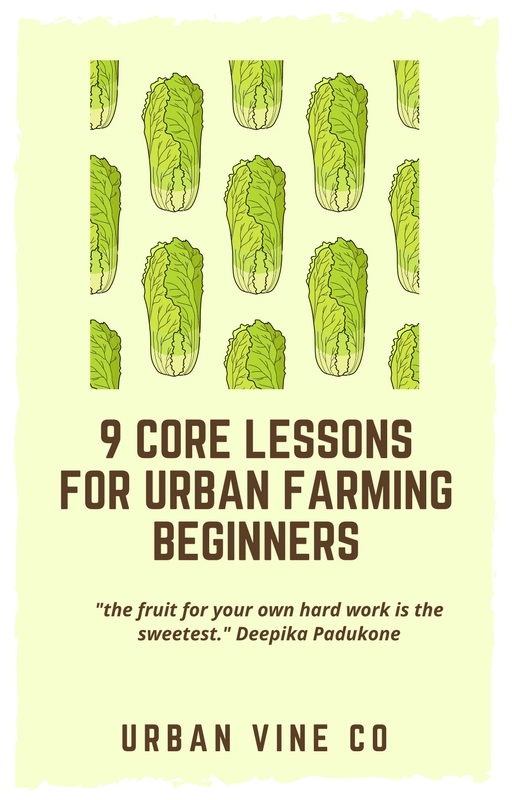 "9 Core Lessons For Urban Farming Beginners"
Click the link above to download!